You can't walk far down the hair-care aisle without spying dozens of coconut-scented shampoos. With one wash, the delightful coconut fragrance sends your mind on a vacation to a tropical locale. 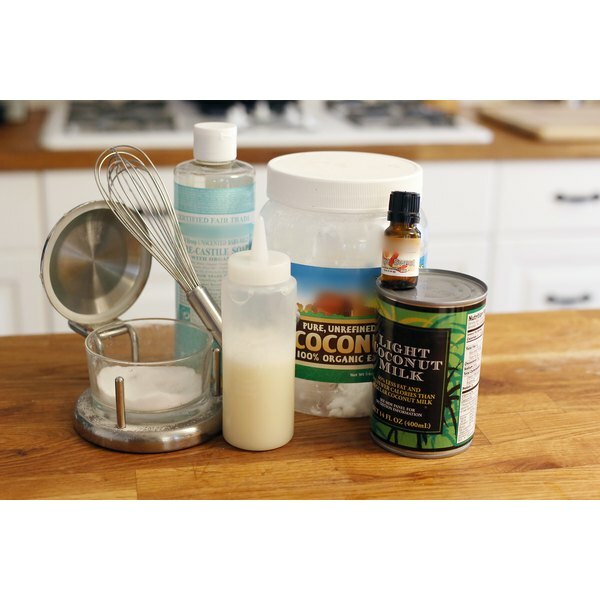 If you bristle at the thought of spending several dollars per bottle, though, try making your own coconut shampoo. 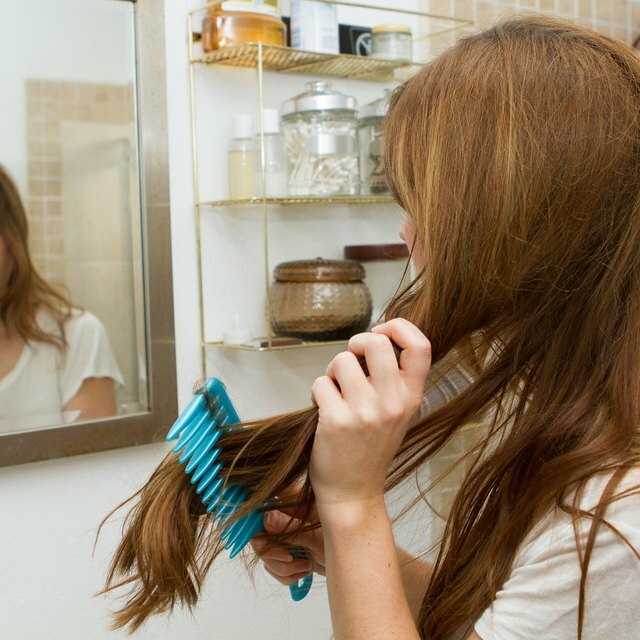 When you do it yourself, you can make a custom blend that suits your strands perfectly. These shampoos condition as they clean, so you'll spend less time in the shower. Pour 3/4 cup distilled water into a ceramic bowl. Microwave the water until warm, or for about 45 seconds. Mix 1/4 cup shampoo concentrate or 1/2 cup unscented shampoo with the warm water. Stir until the water and shampoo are completely blended. Add 1 teaspoon of table salt to the mixture of water and shampoo concentrate; if you used unscented shampoo instead of concentrate, add 1 1/2 teaspoon table salt instead. Add to the mixture 1 tablespoon coconut oil, 2 teaspoons jojoba oil, 10 drops vanilla fragrance oil and 10 drops coconut fragrance oil. Whisk the ingredients together until the mixture turns into a smooth liquid. Pour the mixture into a squeeze bottle or old shampoo bottle. Pour 1/3 cup distilled water and 2/3 cup liquid castile soap into a large bowl. Mix until the water and soap are fully blended together. Add 1 teaspoon of sea salt, then mix the combination until the salt has dissolved. Add to the mixture 3 teaspoons jojoba oil and 1 teaspoon coconut oil, stirring well. Pour the mixture into an empty shampoo bottle with a lid. Add 10 drops of peppermint essential oil, close the bottle and shake well. Shake the bottle before each use for best results. Add 1/2 cup liquid castile soap to a bowl. Use unscented soap, if desired, or coconut soap for a richer fragrance. Pour in 1/4 cup coconut milk. Whole coconut milk works well for dry hair. If your hair is oily, opt for light milk instead. Stir in 10 drops of your favorite essential oil. Lavender and orange oils work well. Pour the mixture into a plastic squeeze bottle. Shake well before every use. You can turn castile bar soap into liquid soap by stirring 2 ounces of grated castile bar soap into 2 cups of hot water. Allow it to cool before using. For best results, use your shampoo within one month.